Around the country, prosecutors have supported the recording of custodial interrogations and have pushed for the creation of voluntary policies and, in some instances, endorsed legislation. Police have embraced this technology as well. The Colorado Best Practices Committee issued a report providing a national perspective on the progress made in this area. 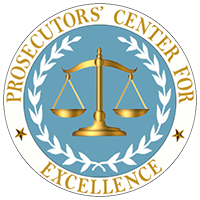 Also included are sample policies and articles from other states that reflect prosecutor’s leadership in promoting the recording of interrogations. Much of this work was spearheaded by Best Practices Committees.